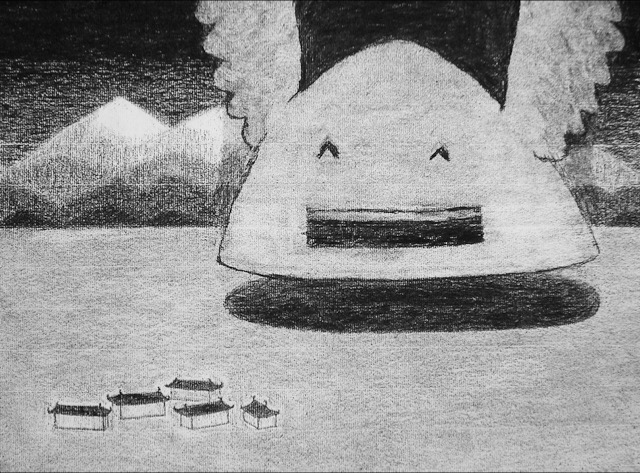 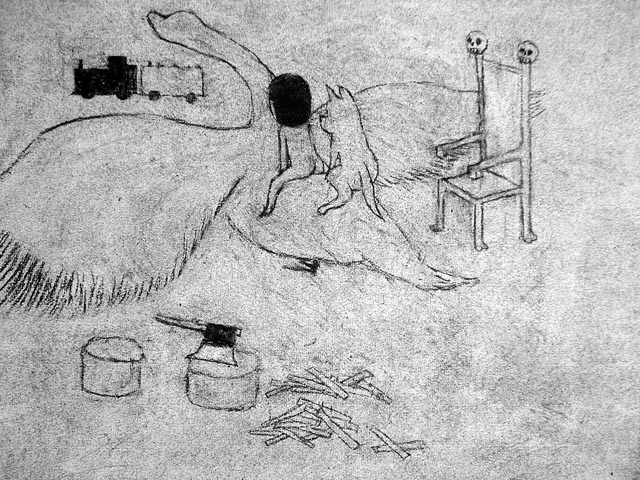 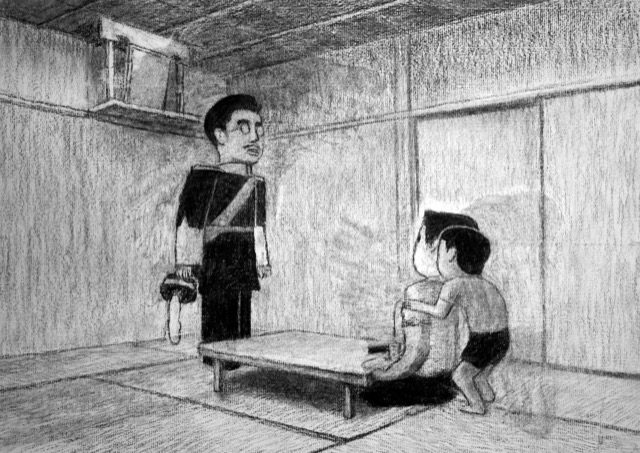 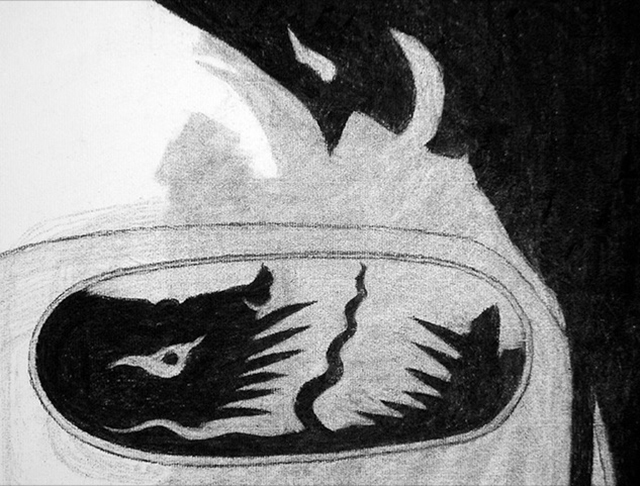 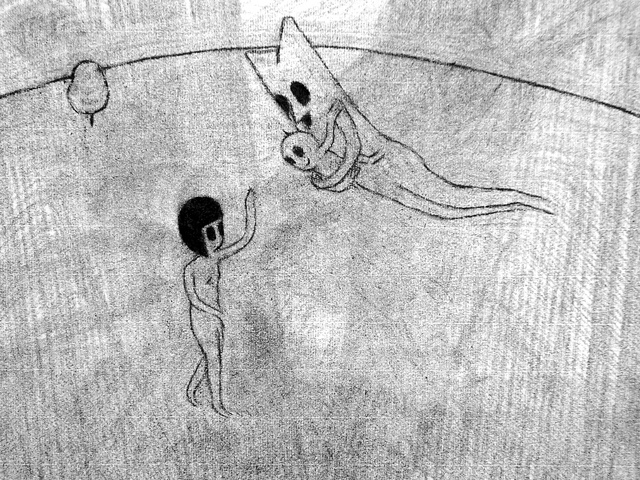 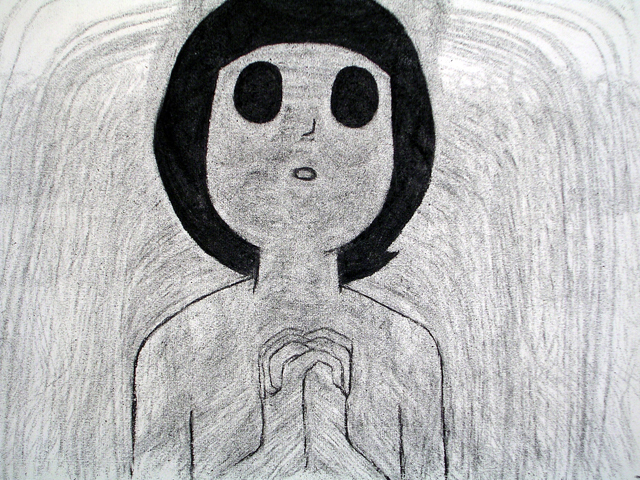 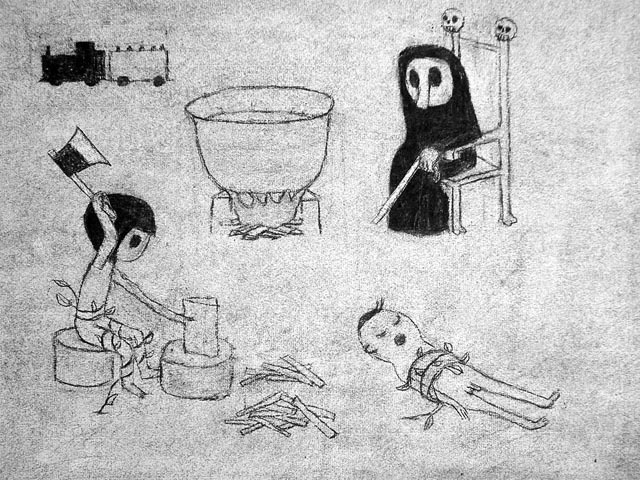 He has completed several short animation films using charcoal drawings. 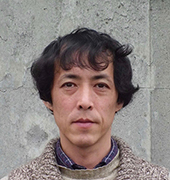 His works shown at festivals and exhibitions both in Japan and overseas. 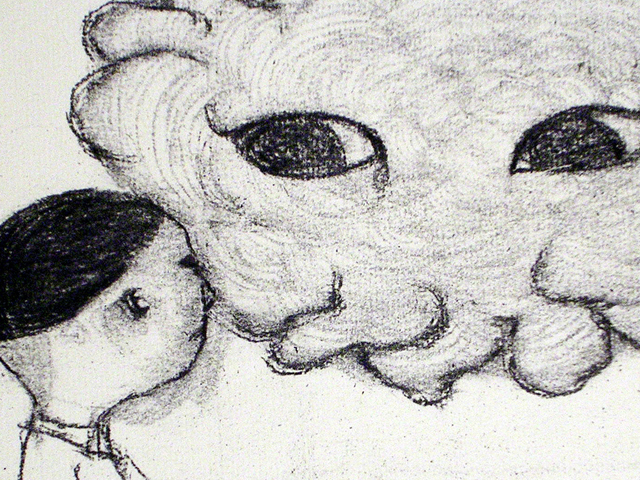 He also designs flyers and makes illustration. 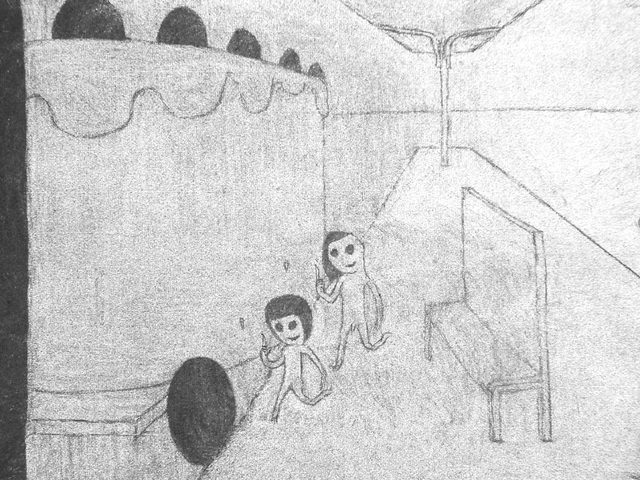 "Vomiting / Steam whistle (first part)"
"The Place, Where We Were"